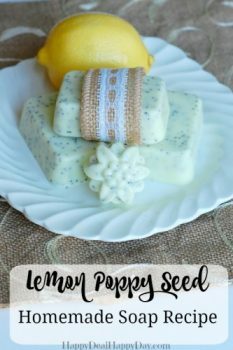 Easy Melt and Pour Soap Recipes: Lemon Poppy Seed Soap Recipe | Happy Deal - Happy Day! 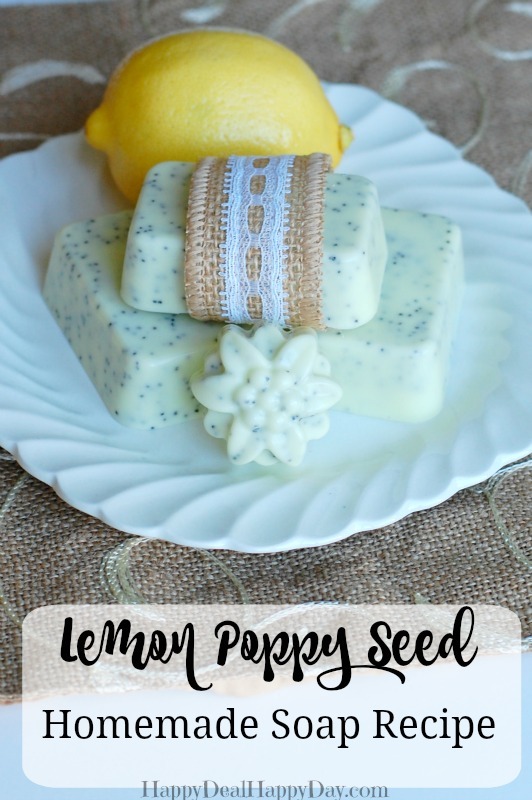 Here is one homemade gift idea that is easy, and is guaranteed to be loved by its recipient: Easy Easy Melt and Pour Soap Recipe of Lemon Poppy Seed. This soap is so pretty and it smells absolutely amazing. 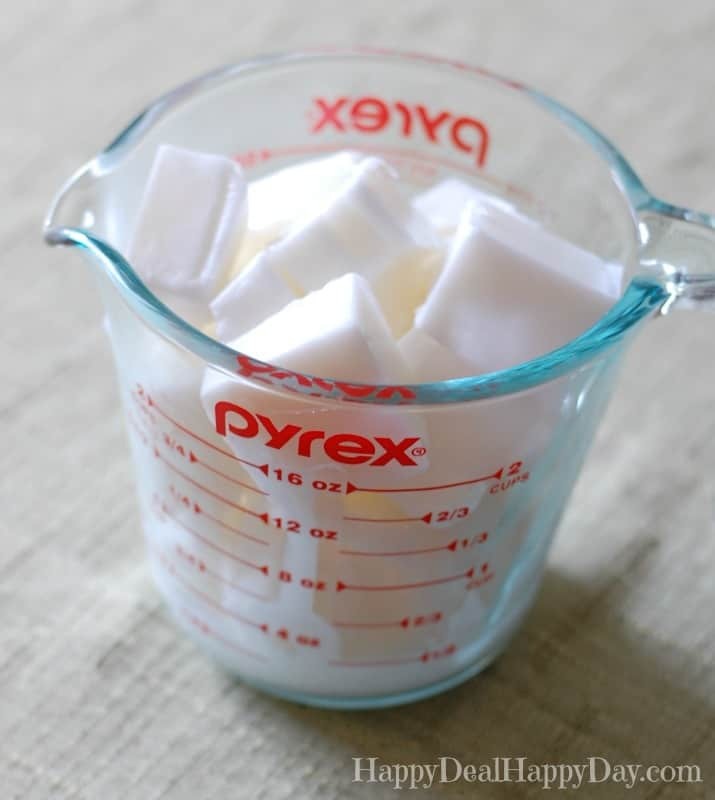 (you’ll have to tell everyone that it is soap so they don’t think its candy and eat it!) This surprisingly takes very little time and effort to make. Friends, neighbors, and teachers will just adore this homemade gift! for bars or a Flower Silicone Mold for smaller shapes. Once the soap is completely melted, add 25-30 drops of lemon essential oil. You can add more if you want a stronger scent. 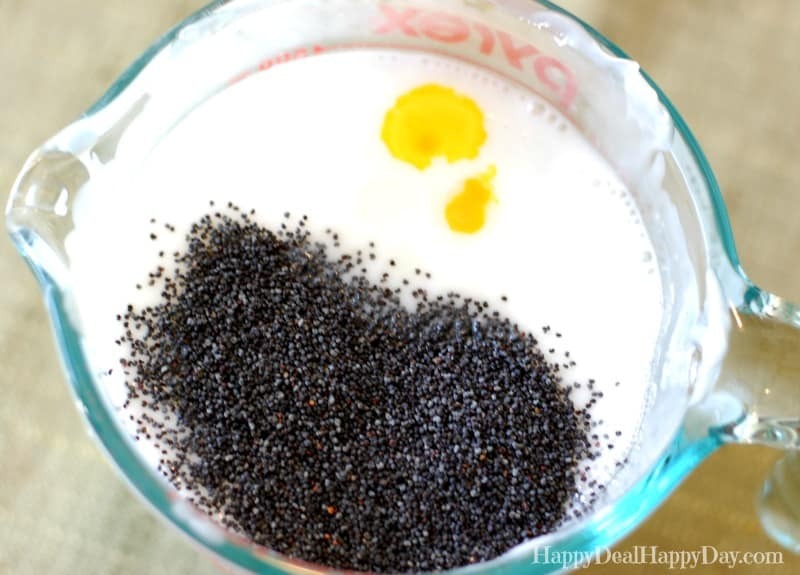 Then add about 3 tablespoons full of poppy seeds. 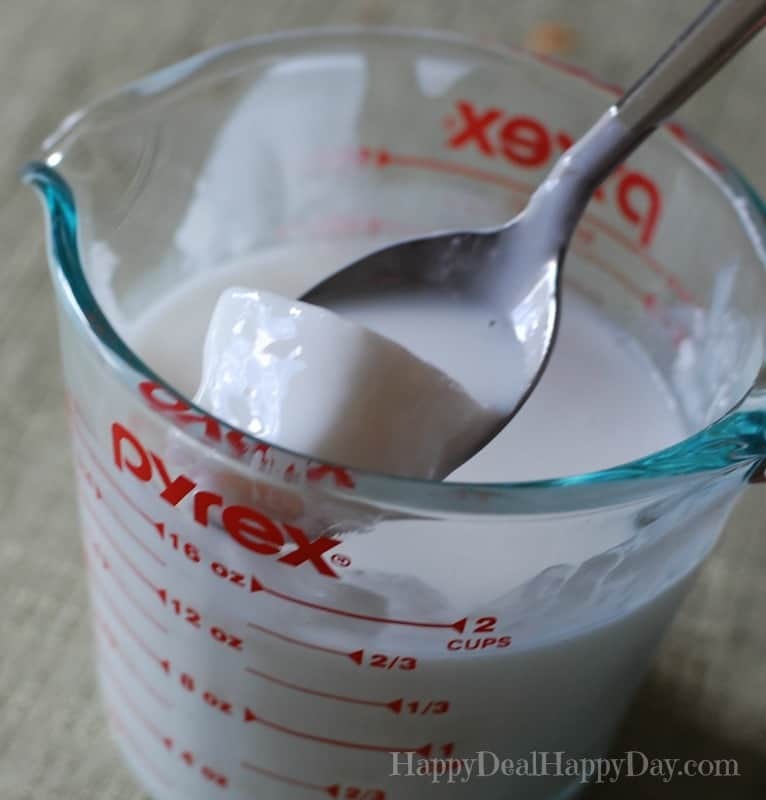 You can add more or less depending on how many you want for texture and exfoliation. You will also need about 20 drops of the yellow liquid soap color. 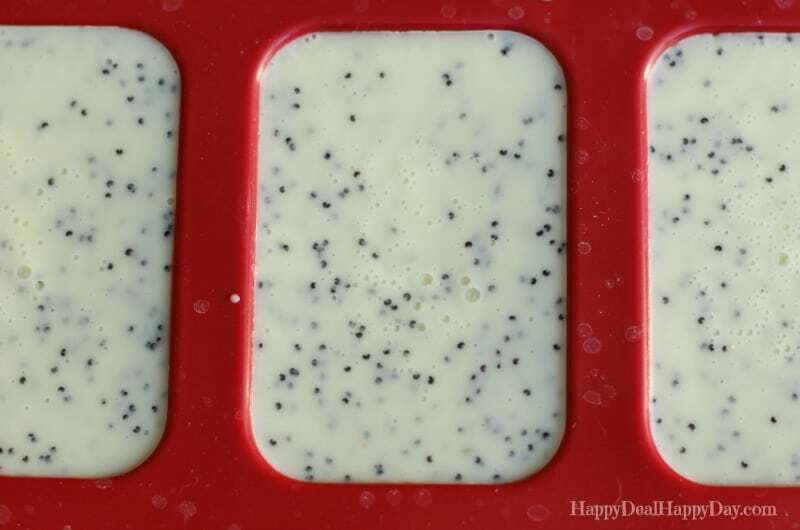 Again, this amount varies depending on how bright you want your soap color to be. 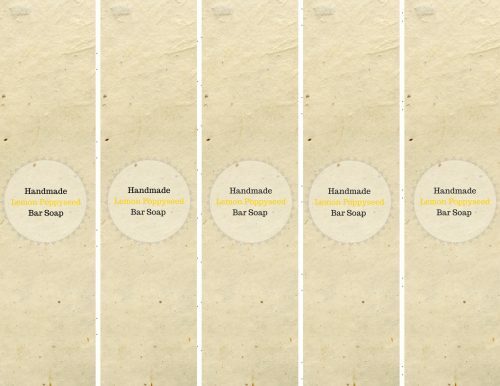 I also have these free printable soap labels that you can download and print! Just fill out the form below and this will show up in your inbox where you can download and print! 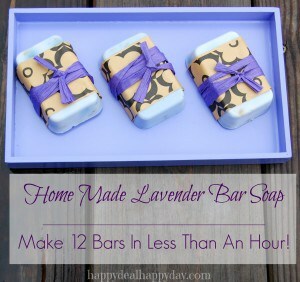 Cut them each out, wrap around your soap bars, and add a bit of twine if you’d like! 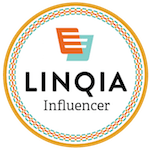 Subscribe and you'll get your free printable soap labels right in your inbox! Success! Now check your email to download and print your soap labels!